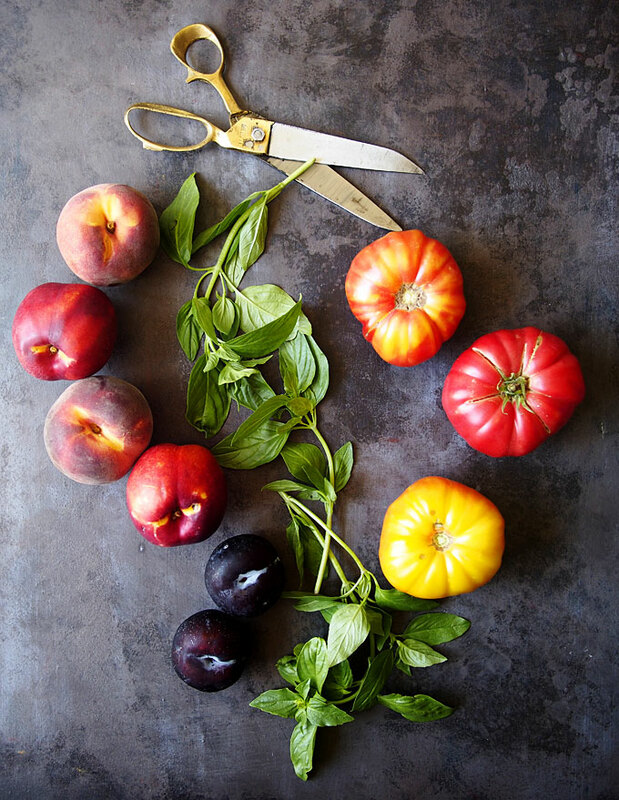 There are few things I enjoy more than stone fruit… but cheese might be one of them. Then add tomatoes and basil and a bit of lemon and olive oil? Plus salt & pepper!? This actually can’t be beat. So. Dang. Delicious. I’m mostly just gonna share pictures with you today — I won tickets (work perk!) to see JOURNEY (!!!!) last night, so … #priorities. So tired. SO tired. Now that I’m a total old lady and go to bed at 9 every night (fo reals. 5:30 wake up requires early bedtime! ), staying up even a little bit past that is nearly equivalent to death. Am I being dramatic? Uhhhh maybe. I was recently reminded that I am somewhat hyperbolic (perhaps why I LOOOOOVE hyperbole and a half?? I identify with her like WHOA. ), so … sorry/not sorry. 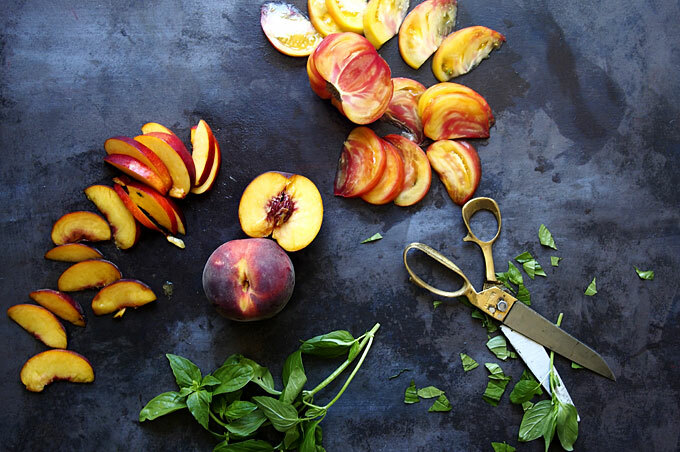 Slice the stone fruit and the tomatoes into very thin wedges. 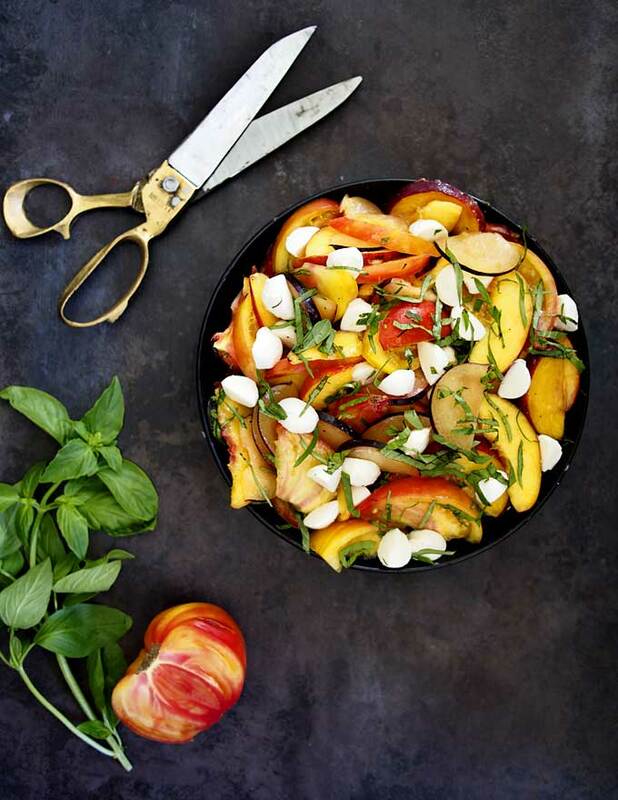 In a bowl, combine the sliced fruits, cheese, basil, olive oil, and lemon juice. Toss to combine, and season with salt and pepper to taste. Mmm love the flavours in this salad! Simple and so delicious! This salad simple, taste delecious..healthy and fresh..thanks. 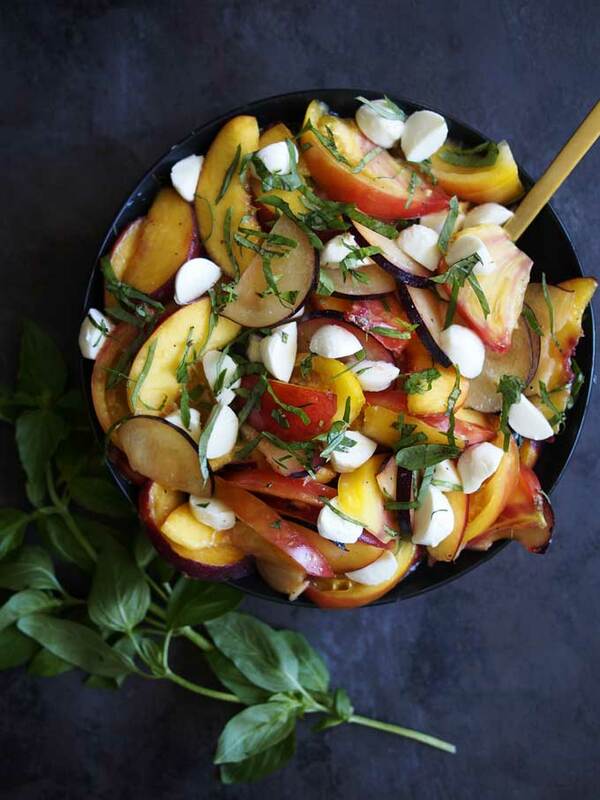 Our local stone fruits are starting to flood the markets, so this is a fabulous way to use them. I love the use of basil as a salad leaf!